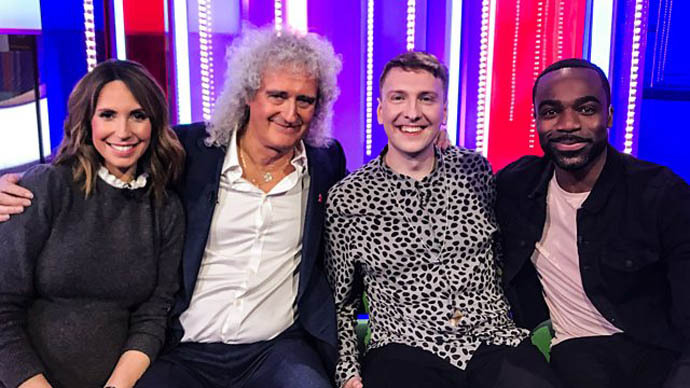 Brian May will be appearing on tomorrow’s The One Show, discussing two projects. – ‘New Horizons; ahead of the vinyl release on Record Store Day and The One Show will play a clip of the video for the first time on TV to 4.2 million viewers. – “QUEEN IN 3-D: Second Edition” (reprint) showing images from the book on screen and viewers will be shown how the book and OWL work together. Also appearing: Joe Lycett, with hosts Alex Jones and Ore Obuda.